“How do I create a Culture of Coaching within my organization?” This excellent question was recently posed by an HR executive in a think tank discussion I helped to facilitate at the HRMI-West Conference in Westlake Village, California. The individual acknowledged the need for coaching as well as the lack of current coaching skills among the management team. This is one of the most common challenges faced by Performex clients. Many HR leaders come to us for support, because they understand that developing managers into outstanding coaches is essential to attracting, engaging, and developing top talent; however, their organizations are not always receptive. Often, their teams view coaching as a suspect practice, or they have a large portion of managers who cannot and do not coach. Some firms are also challenged with employees who are resistant to receiving coaching. First, what defines a Culture of Coaching? We define a Culture of Coaching as an organization where coaching – both for development and for performance improvement – is an essential part of the company’s DNA. This foundation enables superior business results, a vibrant learning environment, and high levels of engagement. Build a strong case for coaching from the top down from the CEO down regarding the link between having the right talent and business success. Link the company’s vison and mission to the need for each employee to constantly develop and grow his/her skills. Put a top coaching program in place as you develop a comprehensive talent management or people strategy. Expose internal influencers to top-notch coaching and leadership development techniques. Have them spread the word. Define coaching as a critical responsibility of all managers and potentially all employees. Set the expectation that willingness to be coached is a critical job responsibility of all employees. Provide all team leaders with expert instruction on how to coach for performance and for development. Recognize that people don’t become great coaches without ongoing instruction, practice and resources. Make sure your program has the optimal amount of support and touch points. Consider an internal coaching certification program to develop master coaches as resources and role models. 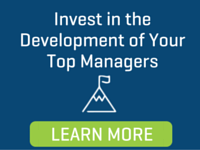 Recognize and reward those who do the best job developing talent within the organization. Ask yourself, "Do we really know who on your team develops the best employees?" Have an agreed-upon MOS (Measure of Success) to evaluate and, if necessary, tweak the program. Include hard business results in addition to qualitative measures. By following this approach, you can gain buy-in from all team members regarding their roles, coaching and being coached. As you work to strengthen your team’s coaching capabilities, remember: becoming an outstanding coach takes time and reinforcement. Stay tuned; in coming weeks, we will be further discussing each of these points in more detail. Are you interested in speaking about our approach to developing a Culture of Coaching within your organization? Contact us today to speak with a leadership development consultant.